Garden Newsletter #685 - August Bargain Days are Here! August Bargain Days are Here! Enjoy the biggest savings of the season during August Bargain Days at Estabrook's in Yarmouth and Kennebunk. Whether you want to add instant color (40% OFF annuals) , plant a new landscape (20-30% OFF trees, shrubs & perennials) or invigorate your indoors (20% OFF houseplants) , you can save big this month with a visit to Estabrook's. Visit our website to see the full list of discounts. If you thought Echinacea (commonly called coneflower) only came in pale purple flowers...NOT SO! The world of coneflowers offers a kaleidoscope of flower colors, sizes and shapes. The blooms can be fiery orange, brilliant red, purple, hot pink, cantaloupe, pale yellow, white or multi-colored like ‘Green Twister’ (lime green and magenta pink centers). The flowers can also be double-petaled with "crested tops" such as ‘Hot Papaya’ or have slightly upturned, narrow petals like ‘Rocky Top’. Even the stems can add striking color; ‘Fatal Attraction’ offers purple-black stems. Plant heights range from short varieties like ‘Pow Wow White’ (only 16-20”) to ‘Magnus’ (36-40”). Coneflowers do best in full sun (six or more hours of direct sun) and are ideally situated with mostly afternoon sunlight. Give them well-drained soil (they dislike wet feet) and don’t overfeed them - they’ll get leggy. 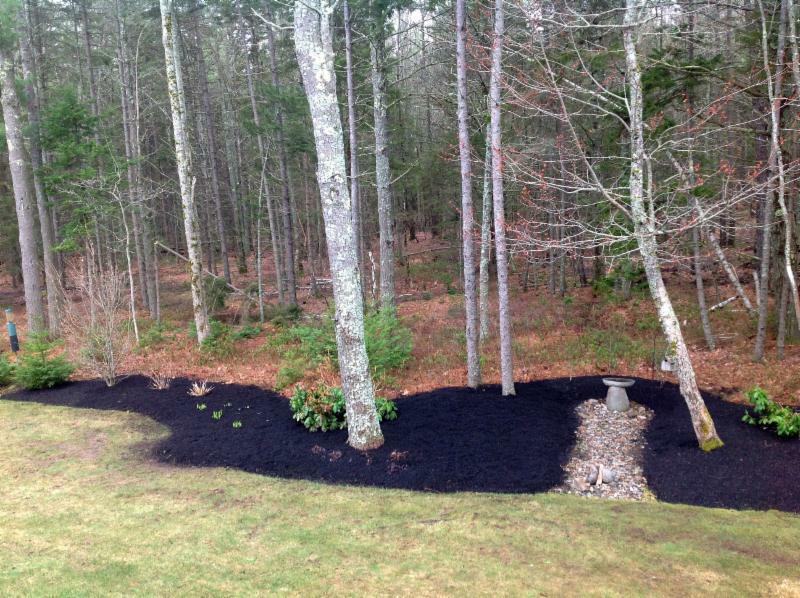 One spring application of a slow-release, organic fertilizer like Plant-tone is all they need. Coneflowers benefit from deadheading, although some like ‘Cheyenne Spirit’ have bloomed non-stop in my Kennebunk garden without any help from me! As an added bonus, pollinators like butterflies and bees adore coneflowers. Don’t cut them back in the fall; simply leave the seed heads for hungry birds to enjoy! We have a fantastic selection of coneflowers right now at Estabrook's. Best of all, they're all available at 20% OFF during August Bargain Days ! KERRY ANN MENDEZ is an award-winning garden educator, author and design consultant based in southern Maine. Her latest book is The Budget-Wise Gardener . You'll find her at our Kennebunk store and she is also available for Estabrook's Garden Design Consultations for property owners who live within 25 miles of our Kennebunk location. As we inch closer to fall, it's time to start thinking about how to best overwinter our plants. 'Endless Summer' hydrangeas were the first hydrangeas to bloom on new growth and have the ability to rebloom all summer long. This unique plant will also require unique care as summer draws to a close. The steamy dog days of summer are here. Everything seems to move at a slower pace...except the weeds in our gardens! Plus, the fact that many gardens are looking tired and lack color doesn’t help. August and September are ideal times for an Estabrook's Design Consultation by Kerry Ann Mendez, an award-winning professional gardener. Kerry Ann will provide recommendations, garden sketches and plant lists for creating high-impact, lower-maintenance landscapes that are stunning spring through fall. Taking steps now will not only give you a jump-start on next year’s garden improvements, but you’ll be able to take advantage of late summer sales. Fall is a fantastic time for planting! 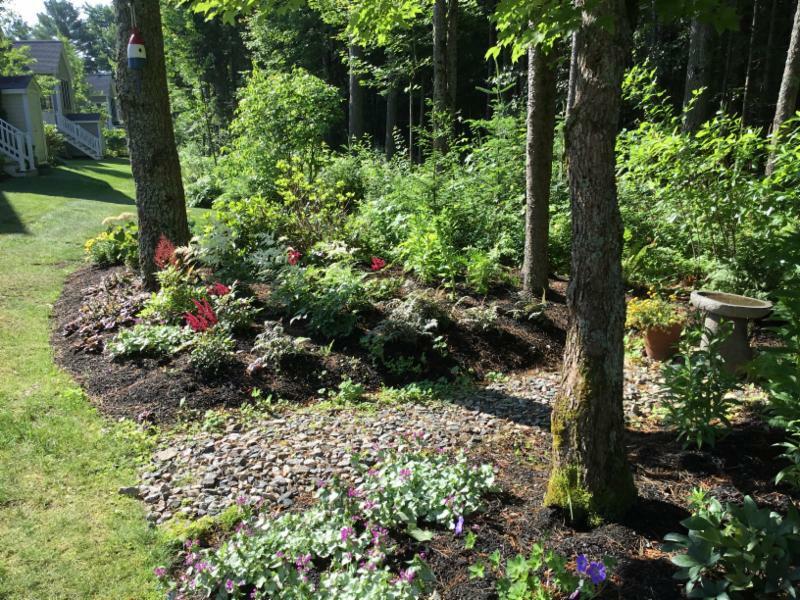 Below are pictures of a homeowner’s garden that went from a weed-filled, messy spot to a lovely vista after Kerry’s design consultation. The photos were taken several weeks after installing Estabrook’s premier plants. Consultation clients can either plant the recommended plants themselves as their time and budget allows, or utilize the installation service of a landscaper that Kerry Ann works with. Ready to get started? Consultations are currently available for customers who live within 25 miles of our Kennebunk location. To le arn more an d schedule an onsite design consultation, click the button below.